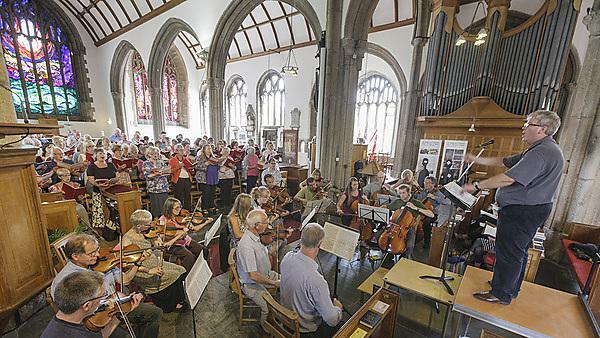 The concert, promoted by Peninsula Arts, will take place in the Minster Church of St. Andrew, Plymouth, at 7.30pm on Saturday 5 July. Admission is free with donations invited in aid of Brain Tumour Research. Evoking the theatrical and virtuoso characteristics of Mozart, the man and his music; all are invited to enjoy this special performance of Mozart's Requiem which featured in the popular 1984 film Amadeus. University of Plymouth is delighted to be working in partnership with Brain Tumour Research, which raises vital funds for research into the prevention and treatment of brain tumours. The University of Plymouth's Faculty of Medicine and Dentistry is recognised as a world leader in research into low grade tumours of the brain and nervous system, which typically affect the young. The organisation is a Brain Tumour Research Centre of Excellence.